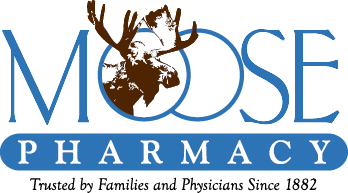 Trusted by families and physicians since 1882, Moose Pharmacy has combined its years of experience and knowledge of medicines to create the Moose brand of supplements. The Moose brand is made from the highest quality pharmaceutical grade ingredients that meet USP-Certified dietary supplement standards. The percentage of active ingredient in some over the counter supplements can be too low and may not include all ingredients on the label. The Moose Brand of Supplements have been developed with the goal to ensure that each patient is provided with the best products to promote the best outcomes possible.